Field Day was always one of my favorite days of the year when I was in elementary school. I remember sunshine, friends, and games. It was an opportunity to be active as well as an exercise in teamwork. 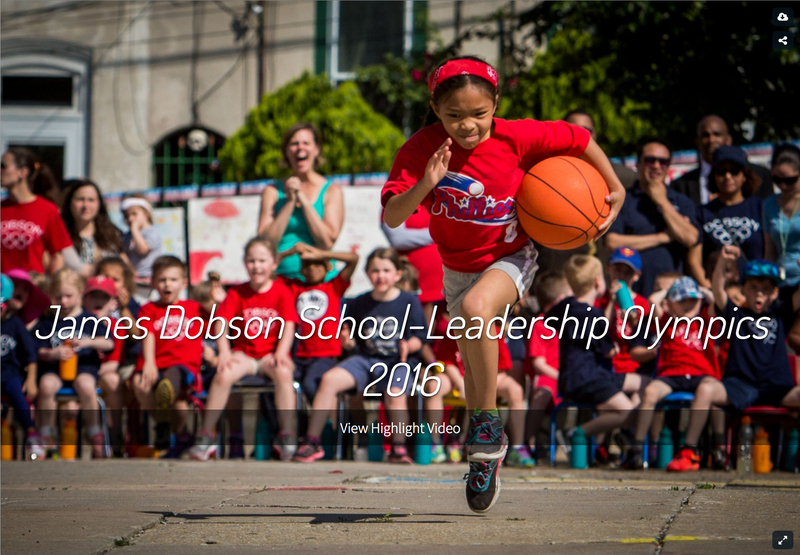 When the JPG Videography team was invited to shoot the James Dobson Highlight Video of their Leadership Olympics, I found myself in a throwback to childhood that would make anyone young at heart smile. James Dobson Elementary is a small, high achieving K-8 public school within the School District of Philadelphia, and is right here in Manayunk. As stated on their website, their vision is to, “Empower J.D.S. students to be responsible, cooperative and respectful.” Their Leadership Olympics was an opportunity to work towards these goals as an event for all grades to take part in. The students participated in a flag ceremony and team-oriented games such as relay races and a water balloon toss. Perhaps the most exciting element of all for the children was the opportunity to meet Mayor Jim Kenney. A large banner made by the kids welcomed him, and they cheered and called his name as he greeted the crowd. Later, he read the Olympic Creed as the students recited along. Just as the creed states, “The most important thing is not to win, but to take part,” the day was filled with camaraderie. The students cooperated with their teams, teachers facilitated the activities, and parents cheered everyone on with support. I think it’s safe to say that everyone left feeling the spirit of community. Thank you to our friends at Advent Consulting for connecting us with James Dobson School, we always love to work with our neighbors! The JPG team is excited to release this highlight video and share all the fun with the world. From my inner child to yours, let the games begin!